Norm Ford and Greg Ford are Full Time Professional Auctioneers, since 1971. Over 5,000 Auctions conducted since 1971!!! Lincoln's leader in Real Estate Auctions. Lincoln's leader in Farmland Auctions. Our auction firm conducts Business, Farm Machinery & Equipment Auctions. We specialize in Guns/Firearms Auctions, Coin Auctions, Antique Auctions & Doll Auctions. We conduct Estate Auctions, Moving Auctions & Downsizing Auctions. 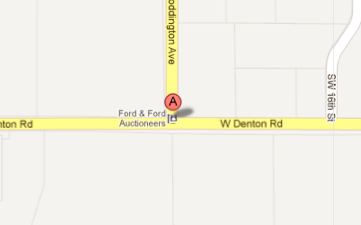 Ford & Ford Auctioneers, Inc. averages 100+ auctions annually, no other firm comes close to these results. Bonded Licensed and Insured, Ford and Ford are the auctioneers you can trust to give you the best results. Full Time Professional and Knowledgeable Auction Service, check out what we can do for you! Our auction firm also provides appraisal services for estate, liquidation & divorce appraisals. Check out our previous sales page and see what you missed! Then head to our Upcoming Auctions to plan your next trip!